Students always push the barriers of what they can do. 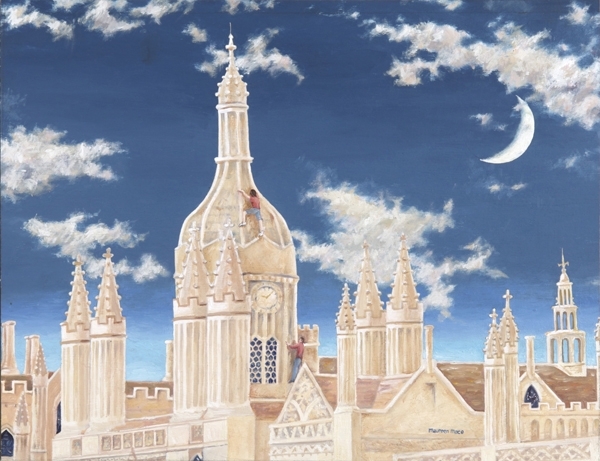 For years they have gone out in the night and climbed the university buildings of Cambridge without ropes or aids of any kind. They have left various objects for others to remove including a car on top of the Senate House and Santa Claus hats on King's College Chapel. If the students are caught climbing it is an instant dismissal from the University. These two are climbing the gatehouse of King's College to become one of the elite group of people who dare.